The Design Industries Foundation Fighting AIDS's annual fundraiser kicks off in the spring in New York City. DIFFA's Dining by Design invites designers to conceive innovative tablescapes and environments. For the annual benefit, we created two distinct dining environments in collaboration with Knoll and Roche Bobois. Our concept was inspired by water in its three states. The dramatic mood of the space was amplified by custom projections playing against a wall of fog. The dream like mist was complimented by water drop-like light fixtures and materials that evoked specular highlights and shadows on a lake's surface. The natural elements transformed the space from the inside out. 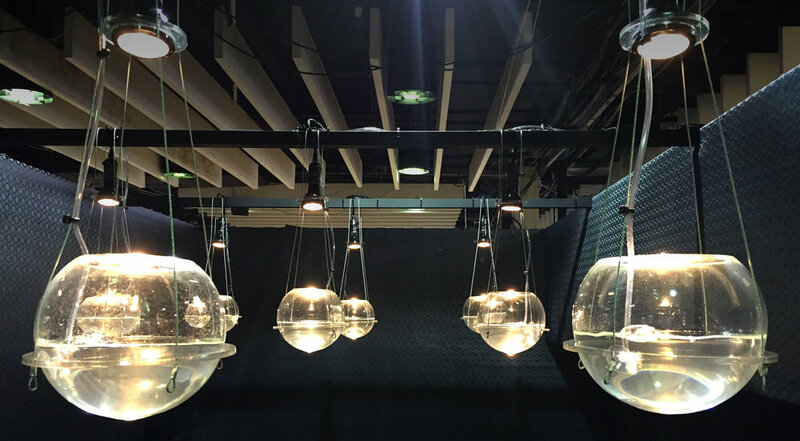 Our DIFFA booth was inspired by water in its three forms, providing a platform for a dynamic and transformative space.